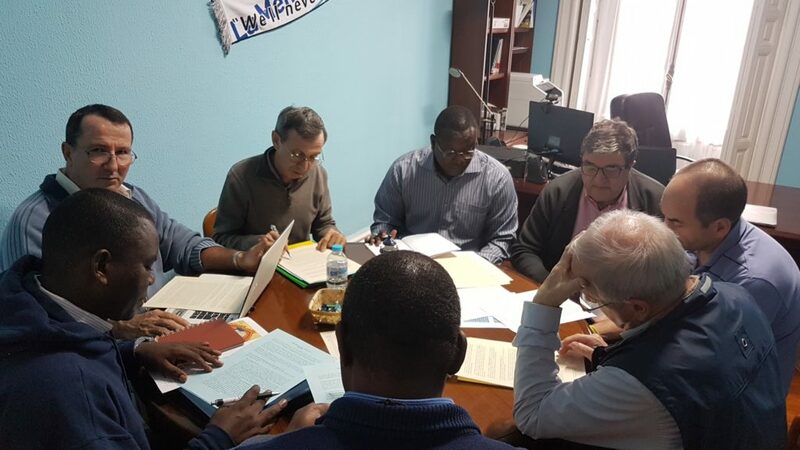 Eleven Major Superiors of the Congregation (Provincials and Visitors) are gathered at Portugalete (Spain) with the members of the General council since April 8th. 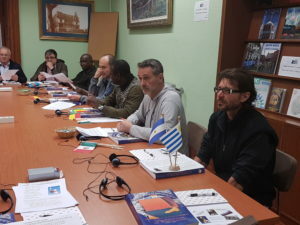 These regular meetings, asked by the last General Chapter are real meetings of formation for the Major Superiors, an opportunity also to share about the implementation of the Chapter in the various sectors of the congregation. 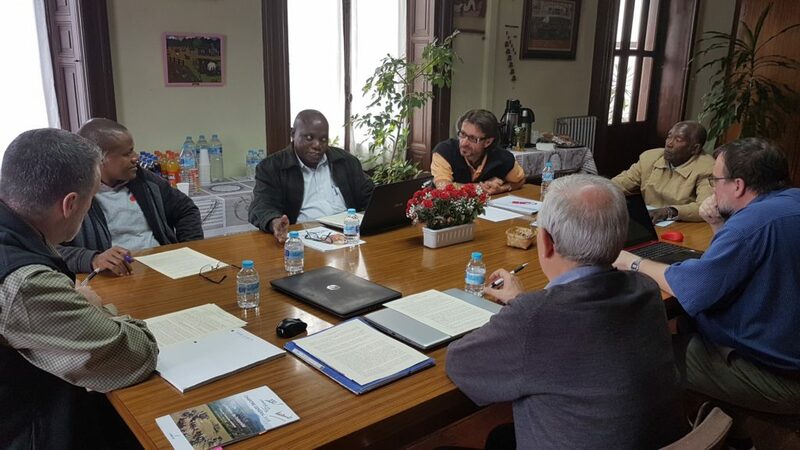 Other subjects, such as the Mennaisian Family and the Bicentenary, are also on the agenda. 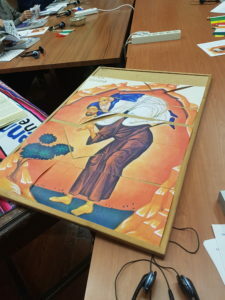 The icon realized during the prayer of opening – the Brother Superior carrying his brother. 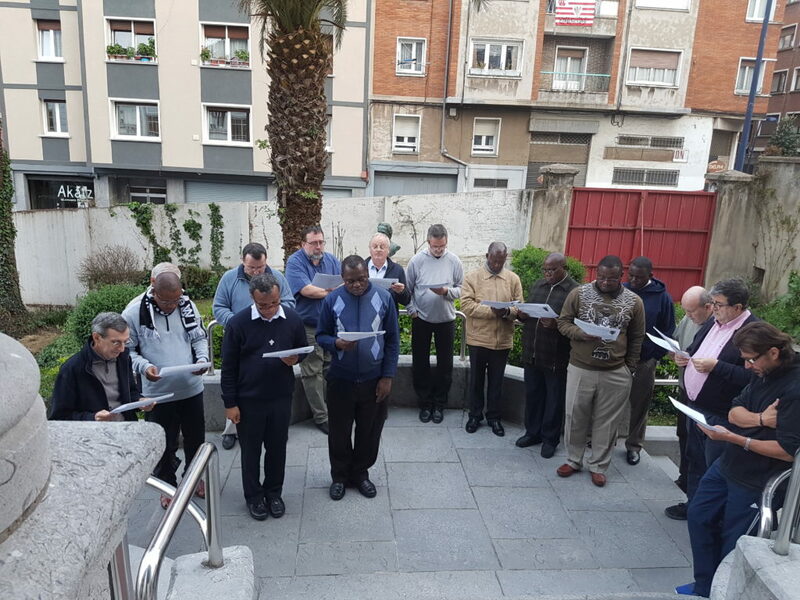 After the first two days of intensive working, Wednesday was a day of relaxation and visits to two Mennaisian places of Nuestra Señora del Pilar Province: Santo Domingo de la Calzada and Nanclares de la Oca. 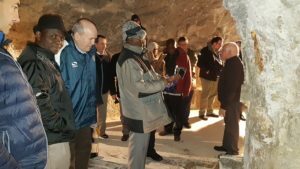 Two places where the Brothers are still well involved in the mission with the young. 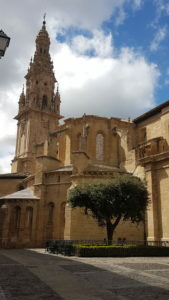 These two places were formerly the Houses of formation for the Brothers of Spain, places steeped in history. 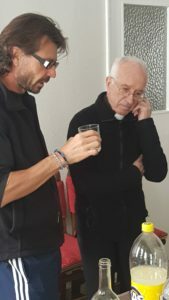 The two commissions “Ad gentes” Commissions and “On going formation” at work. 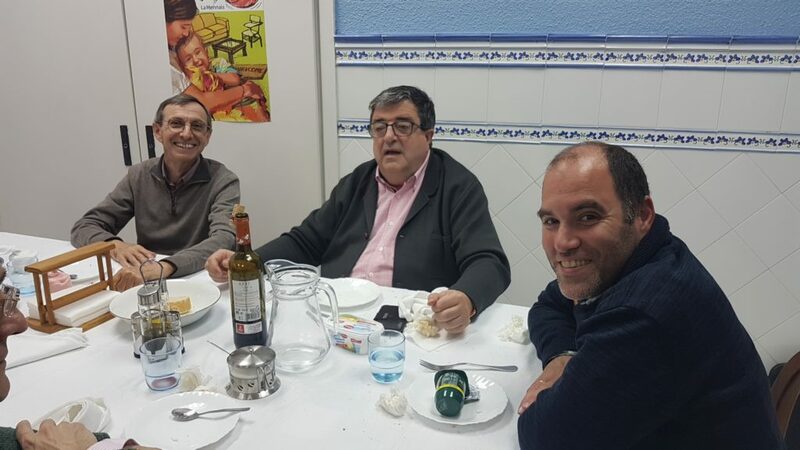 Visit to Santo Domingo de la Calzada: here Bro Benito Zampedri and Bro Emilio of Peña; Bro Rafa Alonso and the Brothers Carlos Capellán and Angel María Manjón. 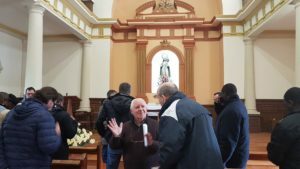 Visit of the Chapel, place of celebration for all the events of the Province. 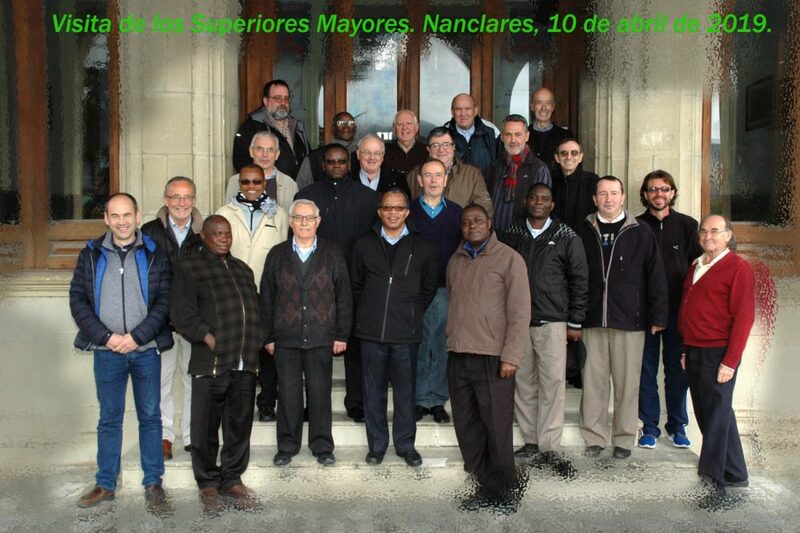 The last 3 days (April 12-15th) of the meeting of the Major Superiors will coincide with the International meeting of the committee members of the Solidarity fund (FSI). 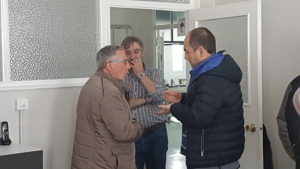 The last morning of April 15th will be dedicated to a time of exchange between the Major Superiors and the International Solidarity Fund Committee members (ISF).